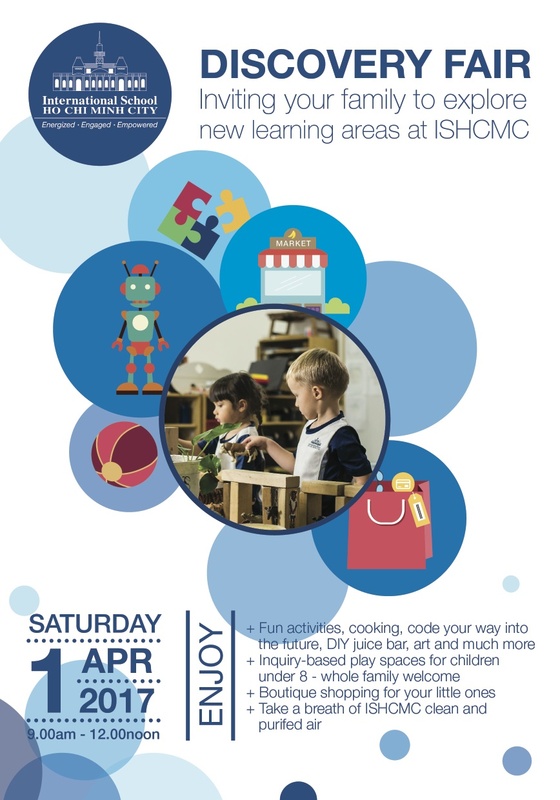 International School Ho Chi Minh City (ISHCMC) will host a Discovery Fair on Saturday, 1st April from 9am to 12noon. This is an open house event and the whole family is welcome to attend. There will be fun activities and engaging learning experiences for children aged 8 years and under. Plus for parents there will be boutique shopping. Fun activities include a DIY Juice Bar, Craft Your Own Gift and Face painting. Classrooms will be open with ISHCMC educators inspiring with 21st century approaches to child-led inquiry and learning. Vendors will be offering a range of lifestyle and health products plus there will be a pediatrician answering questions and offering advice. ISHCMC’s current provider and world-renowned purified air specialist, IQ Air will be there to give insights and explain their product range. This is an event open to the community. Please sign up here to secure your place and goody bag.